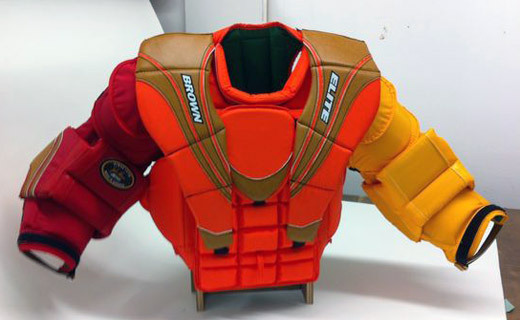 These chest and arm protector photos showcase some of the unique colour schemes by our incredible goalies. 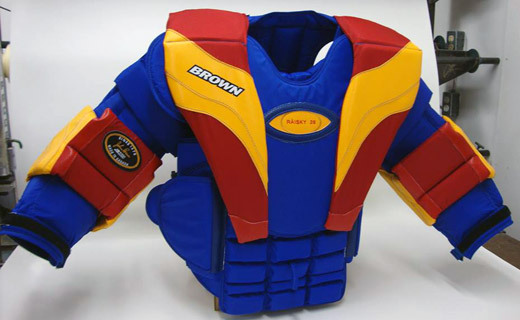 We hope you see something you love, or feel inspired to come up with your own colour scheme. 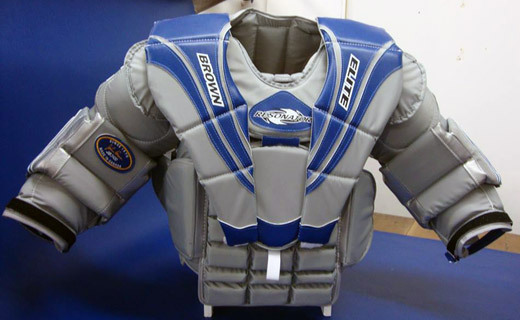 The colouring sheets below are for your inner-artist. 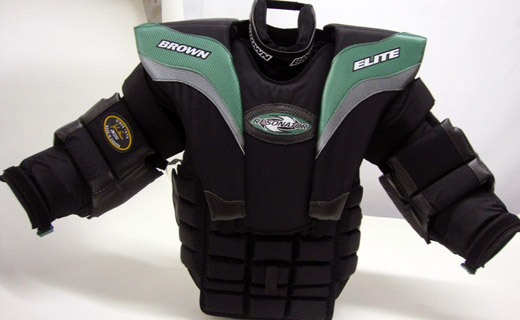 Email us your creation for a quote. 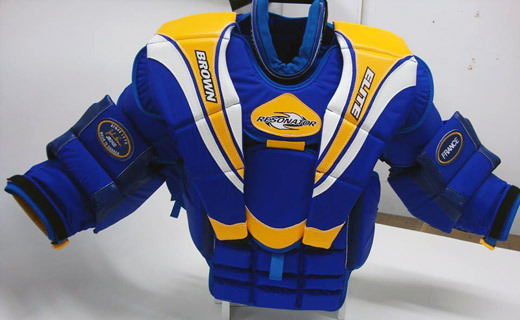 Use this downloadable 2400CA colouring template to express your colour scheme and/or design. 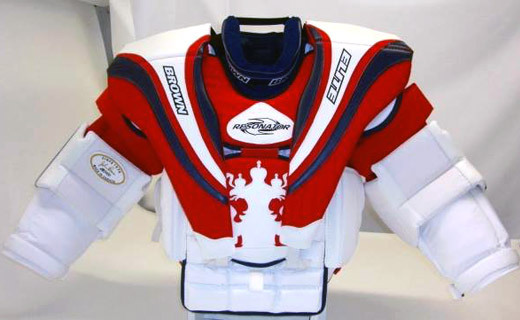 Use this downloadable 2200CA colouring template to express your colour scheme and/or design. 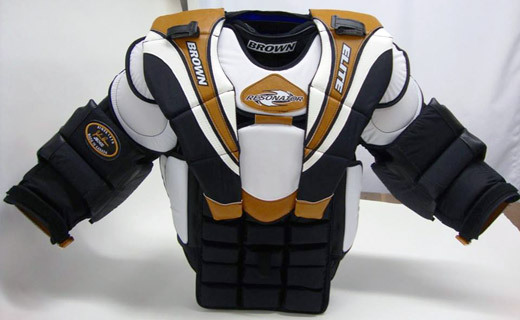 Custom add-ons include colour scheme, and deluxe bicep protection. 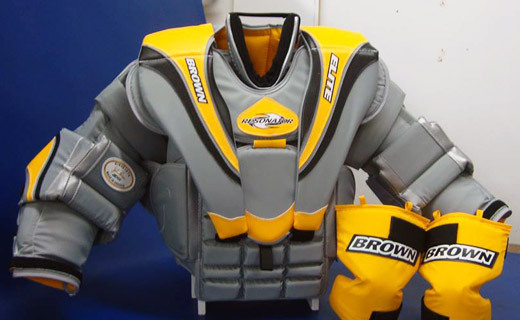 Base model with custom colours. 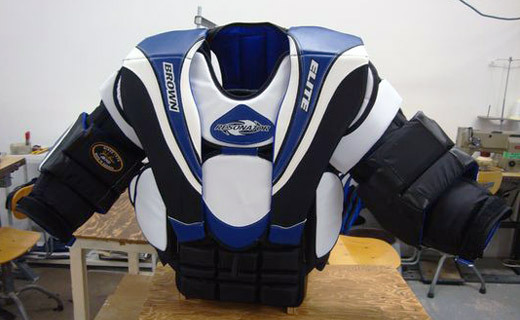 Custom add-ons include segmented shoulder wings with raised-ridges, colour scheme, built-in neck collar, and embroidery. 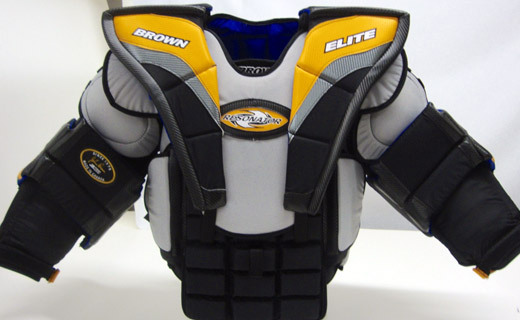 Custom add-ons include deluxe bicep protection, segmented shoulder wings with raised-ridges, and additional rib protection. 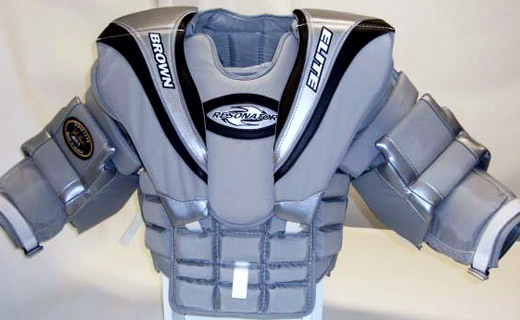 Custom add-ons include segmented shoulder wings with raised-ridges, deluxe bicep protection, colour scheme, and breast plate. 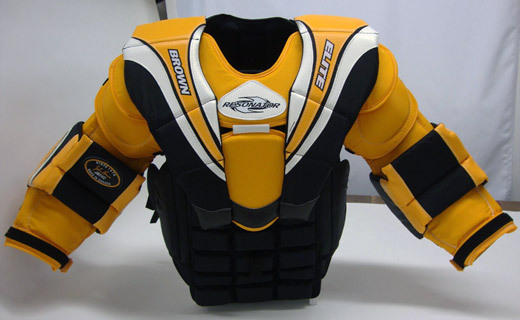 Custom add-ons include colour scheme, shoulder-wing suspender holders, built-in neck collar, and embroidery. 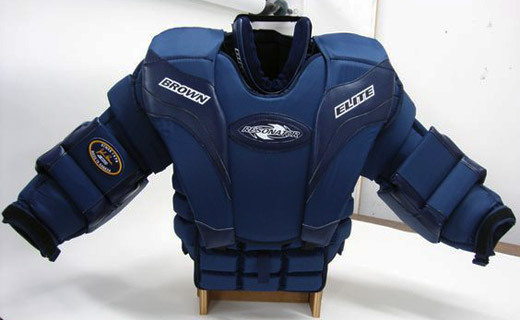 Custom add-ons include deluxe bicep protection, and colour scheme. 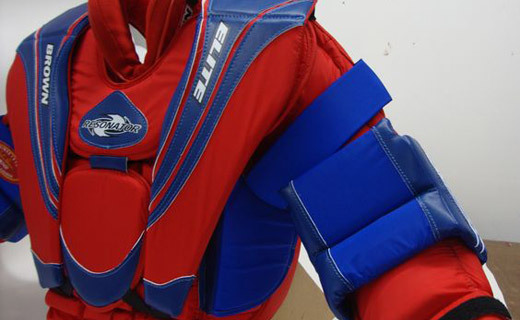 Custom add-ons include segmented shoulder wings, colour scheme, and embroidery. 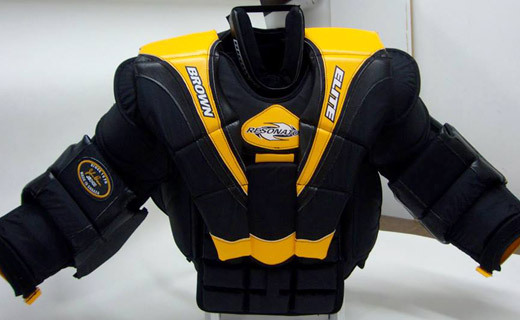 Custom add-ons include deluxe bicep protection, colour scheme, segmented shoulder wings, built-in neck collar, team logo, and embroidery. 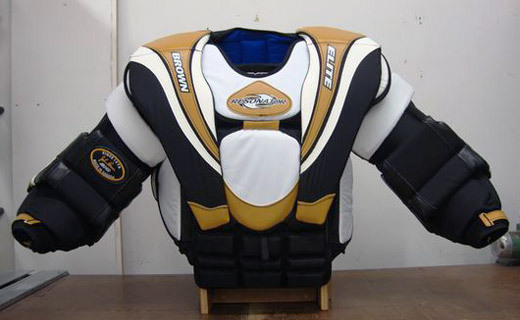 Custom add-ons include deluxe bicep protection, colour scheme, segmented shoulder wings, and built-in neck collar. 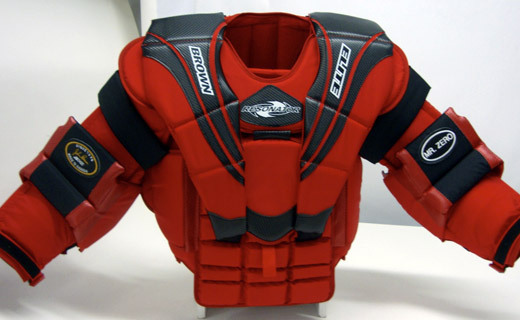 Custom add-ons include deluxe bicep protection, colour scheme, additional rib protection, segmented shoulder wings, and split-breast plate. 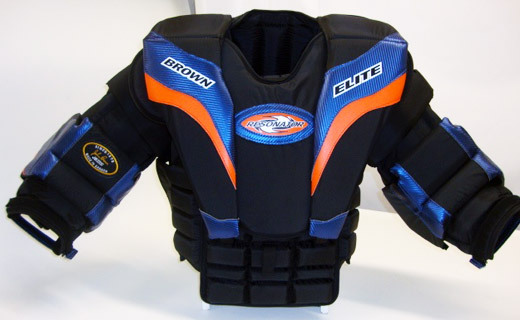 Custom add-ons include deluxe bicep protection, colour scheme, additional rib protection, segmented shoulder wings, shoulder-wing suspender holders and embroidery. 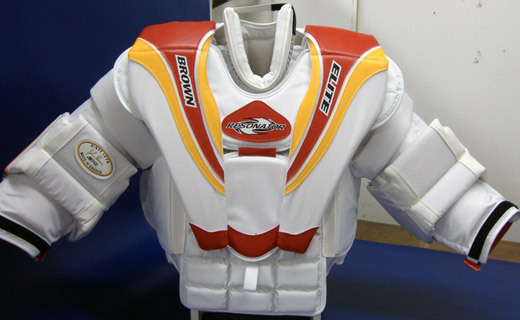 Custom add-ons include built-in neck colour, colour scheme, and team emblem. 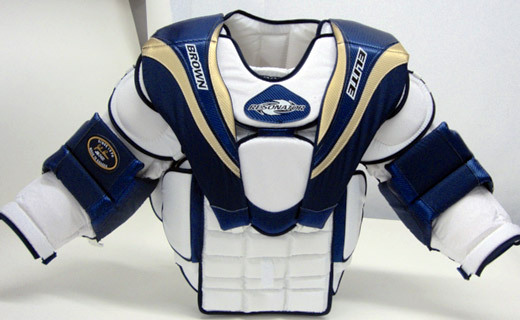 Base model and standard colours. 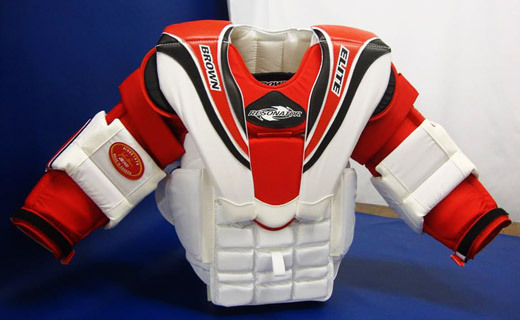 Custom add-ons include built-in neck collar, and colour scheme. 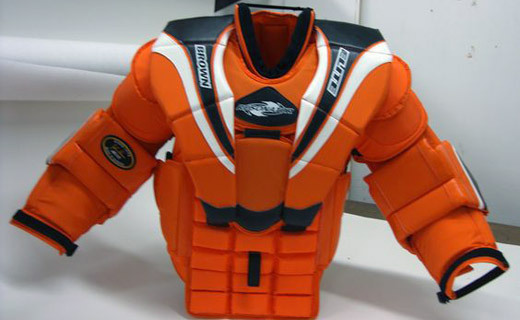 Custom add-ons include colour scheme, and segmented shoulder wings. 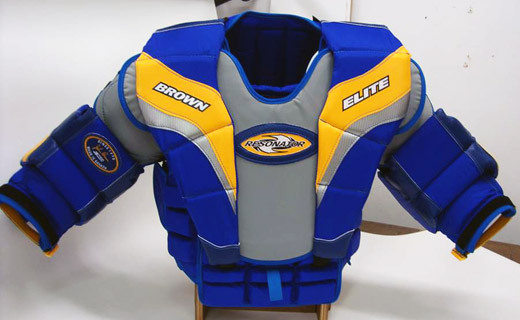 Custom add-ons include segmented shoulder wings, built-in neck collar, colour scheme, deluxe bicep protection, and embroidery. 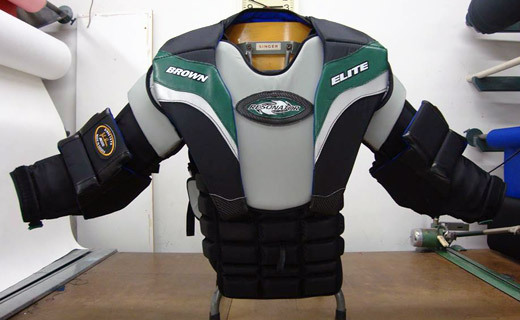 Custom add-ons include segmented shoulder wings, shoulder wing suspender holders, colour scheme, built-in neck collar, and deluxe bicep protection. 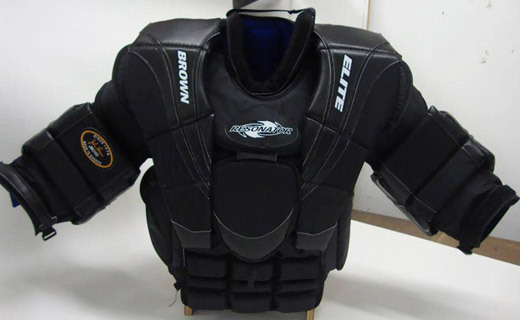 Made to your unique measurements with all the features you need and desire. 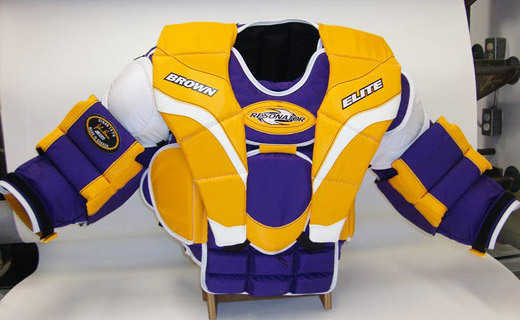 Custom add-ons include colour scheme and embroidery. 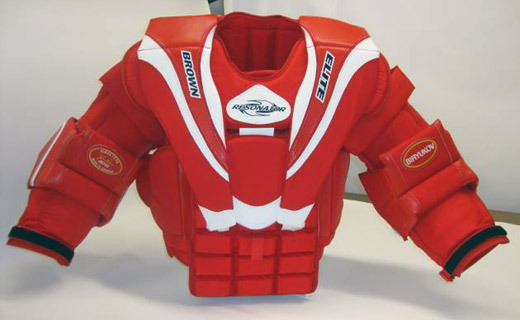 Base model with add-on colour scheme. 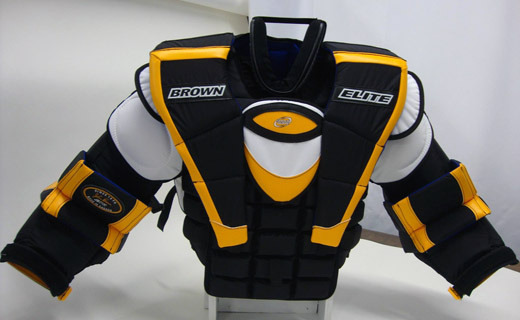 Custom add-ons include embroidery, colour scheme, and built-in neck collar. 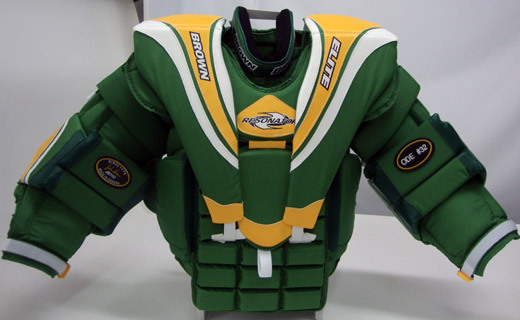 Base model with custom colour scheme. 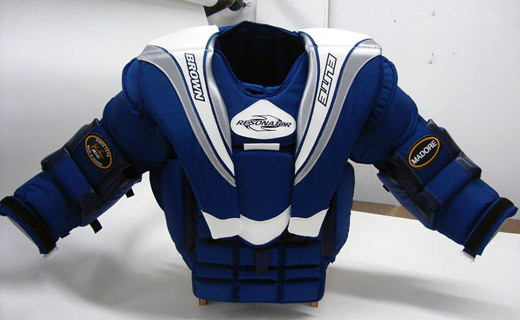 Custom add-ons include extra wide shoulder wings, colour scheme, and built-in neck collar. 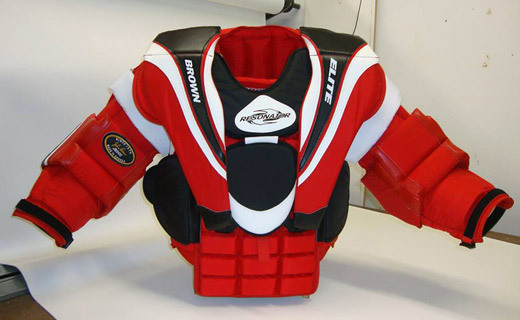 Custom add-ons include segmented shoulder wings, built-in neck collar, and colour scheme. 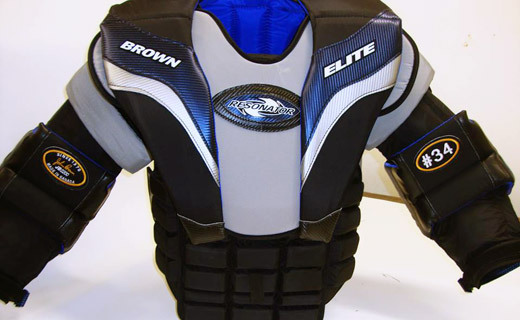 Custom add-ons include deluxe bicep protection, colour scheme, and segmented shoulder wings. 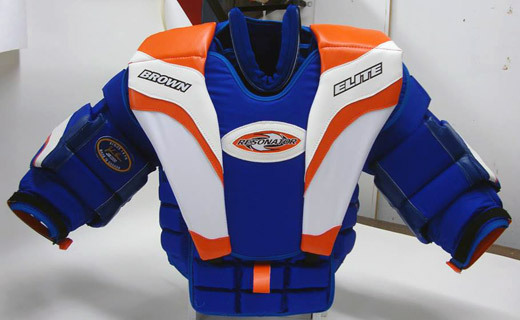 Base model with embroidery, and custom colour scheme. 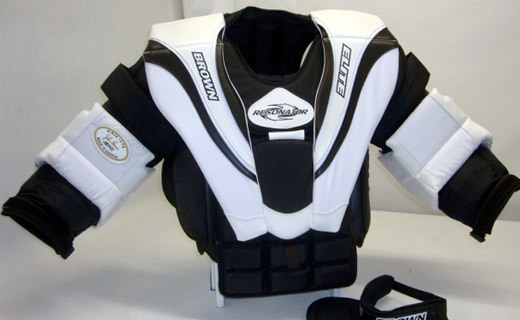 Custom add-ons include deluxe bicep protection, segmented shoulder wings, shoulder wing suspender holders, and built-in neck collar. 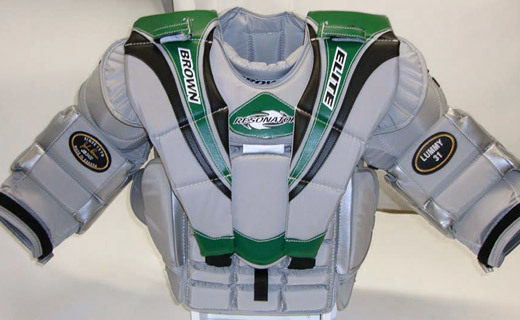 Custom add-ons include deluxe bicep protection, colour scheme, segmented shoulder wings, and shoulder wing suspender holders. 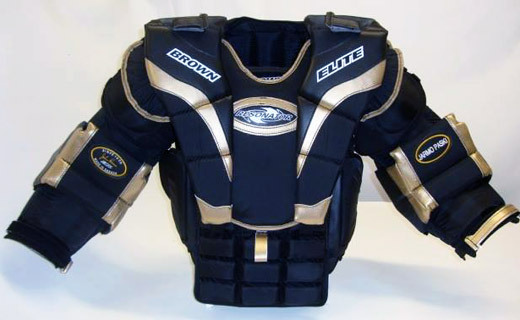 Made with love and care by skilled artisans in Collingwood, Canada. 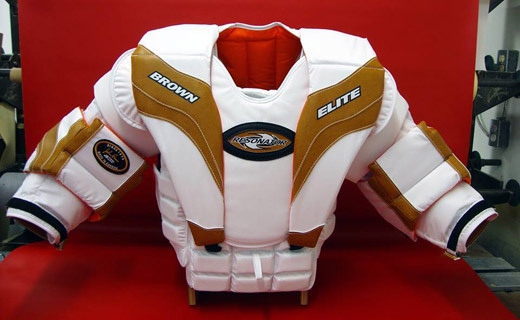 Custom add-ons include deluxe bicep protection, colour scheme, and embroidery. 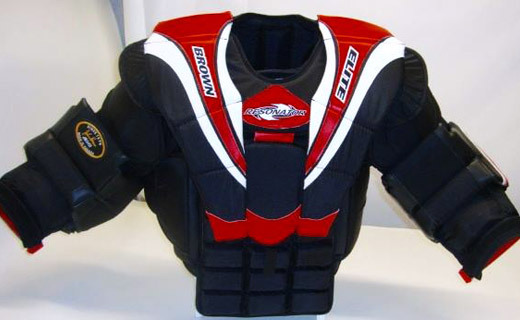 Custom add-ons include segmented shoulder wings, shoulder wing suspender holders, colour scheme, deluxe bicep protection, and embroidery. 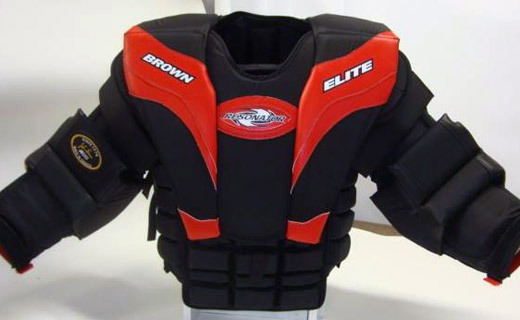 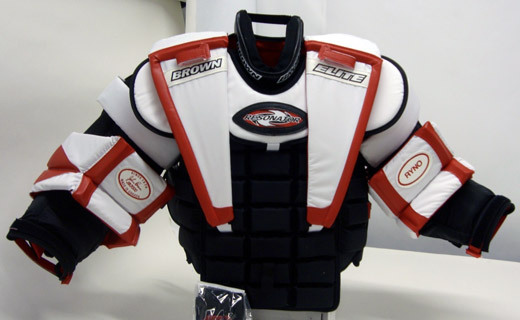 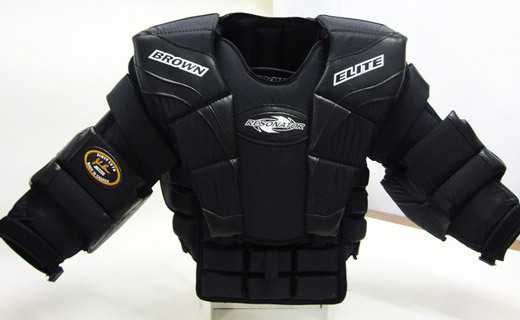 Custom add-ons include segmented shoulder wings, and deluxe bicep protection. 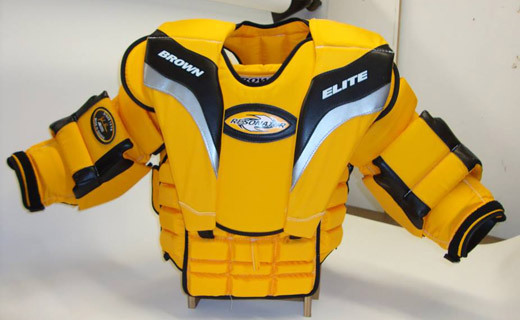 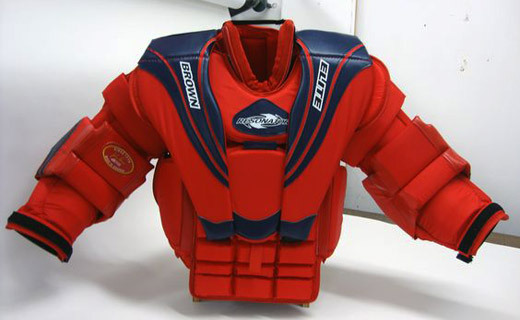 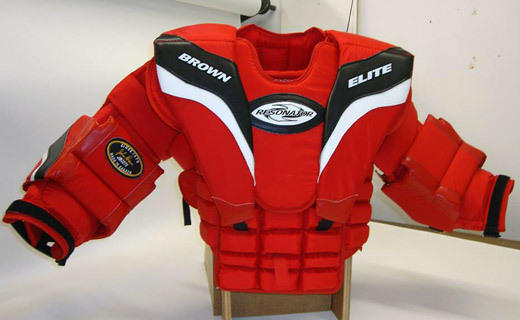 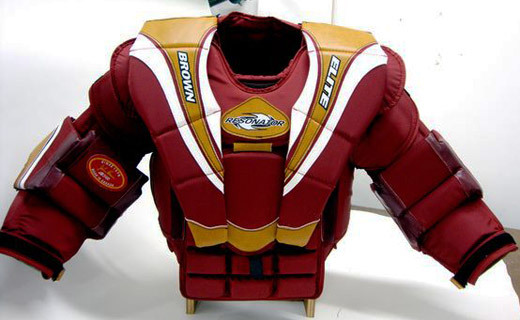 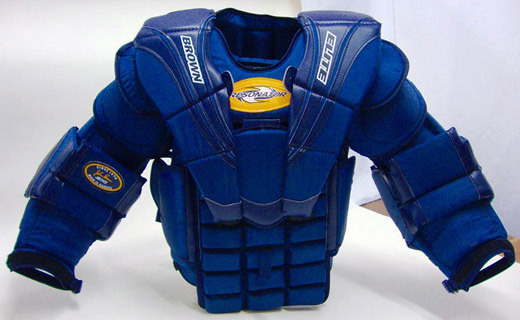 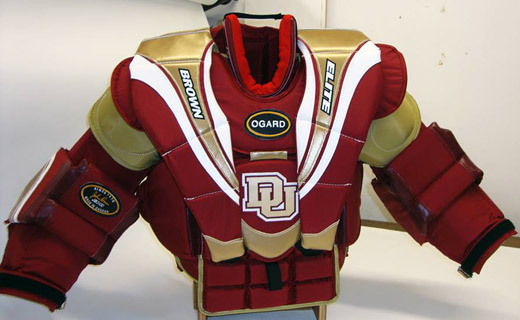 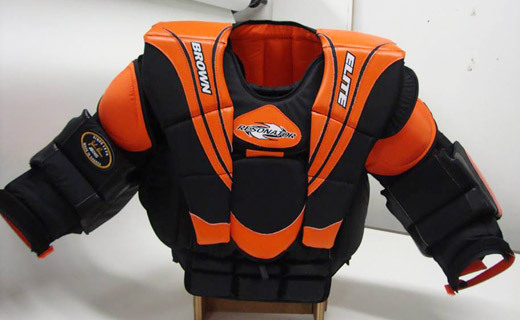 Custom add-ons include segmented shoulder wings, colour scheme, and deluxe bicep protection. 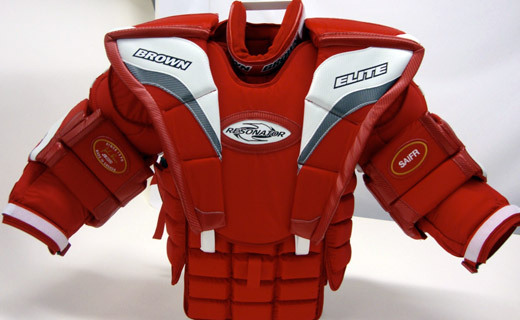 Custom add-ons include segmented shoulder wings, deluxe bicep protection, and colour scheme. 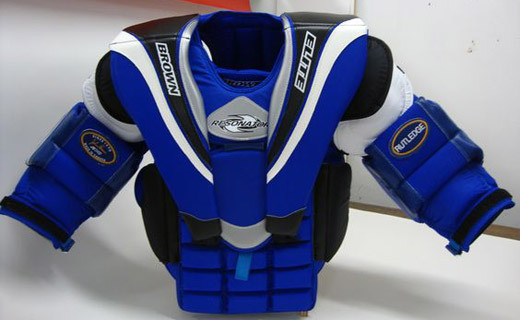 Custom add-ons include segmented shoulder wings, deluxe bicep protection, colour scheme, and built-in neck collar. 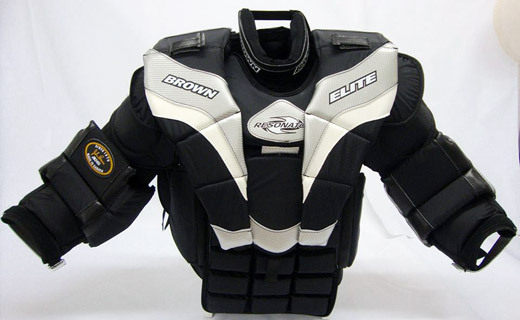 Custom add-ons include embroidery, colour scheme, and deluxe bicep protection. 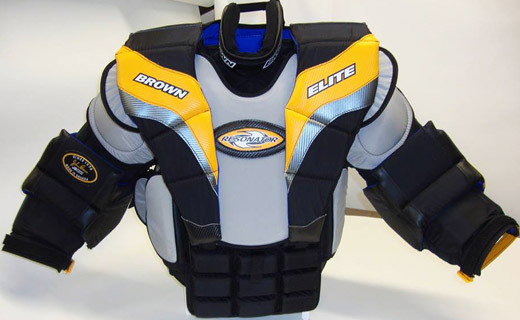 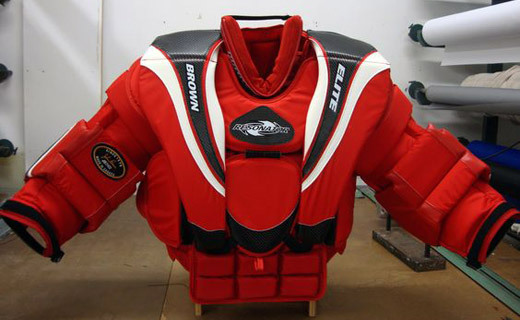 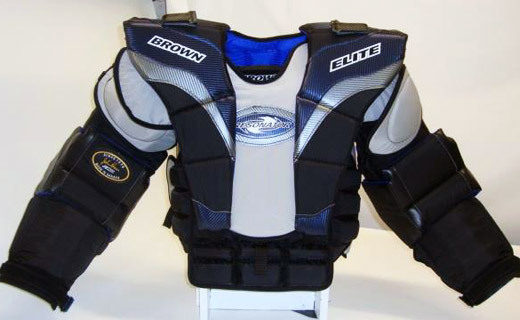 Custom add-ons include segmented shoulder wings, built-in neck collar, and deluxe bicep protection.